So, how many emails arrived in your inbox today? How many emails were already in your inbox lounging about, taking up space, and waiting for you to take action? And how many more lurk in the shadows waiting for someone to hit “send” thereby releasing them en masse into the stratosphere only to land in your mailbox with a deceptively innocent “ping!”? And for that matter, how many of those will be released by you? Not sure? Ready for a little email reality check? The Radicati Group reported that in 2011 “the typical corporate email user” sent 33 emails and received 72 per day. Of those received, only 58 were legitimate business related emails. The authors predicted that in 2014, the number of emails sent daily would increase to 39 and the number of emails received to 81, of which 68 would be useful and the rest spam. Researchers at the McKinsey Global Institute estimate we spend 13 hours a week managing email. That’s quite a lot of time and energy. 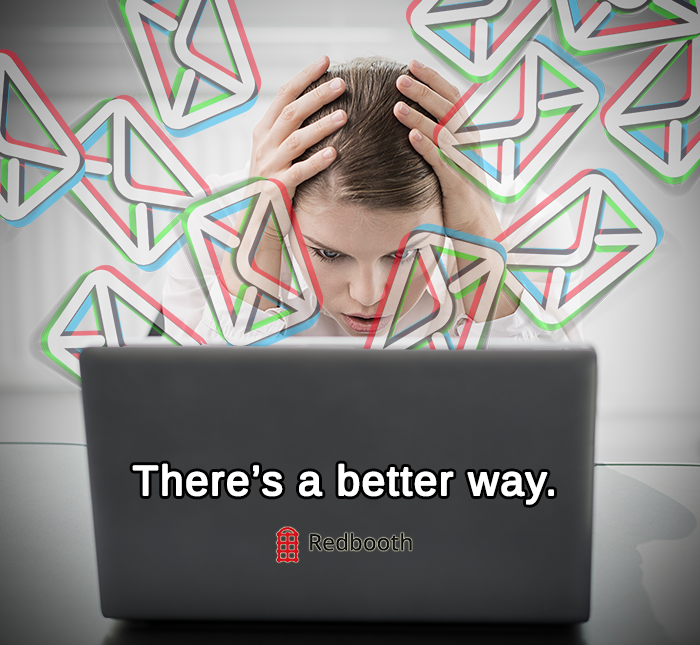 What Are Your Alternatives to Email? First, when working in a team, the team should decide together how members communicate. The team can specify which method is appropriate for a given situation and document their procedures in the team charter. Second, be sure you know your company’s rules governing what may or may not be sent via emails, instant messaging, etc. so you do not violate corporate policy. That said, here are some ideas to think about next time you are tempted to shoot off an email. Can you pop ‘round to their desk? Yes, that’s right. Physically go see the person in question and have a conversation like people used to do back in the day before we spoke with our thumbs via a smartphone. Can you use the phone? The phone? You know, that device in your pocket you use primarily for texting and gaming? How about picking it up and phoning the potential email recipient? Ring them up and say hello, resolve the issue, agree to have lunch sometime, and ring off. Job done. No fuss, no email, and you might get a free lunch. Create a task: Check out our various ways you can create a task on Redbooth. Create a task from an email: Check how you can do this via Outlook or Gmail. Provide or obtain an update about a task or project: Check out the best ways to manage execution in your company. Share files with ease and improve team productivity: Learn how to upload and share files with your team. Share information, documents, meeting summaries and more: Try using the note tool. Start an online discussion about a topic: Avoid lost email discussions, ask questions and post announcements with centralized and searchable conversations. I’m frankly tired of my inbox. The amount of unopened emails and emails that I know in the back my head that I need to respond to sometime soon is driving me crazy. So, if you have others ideas on how to minimize your inbox, please share in the comments below.